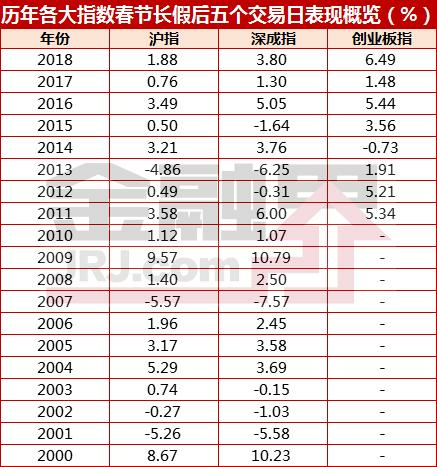 Stepping into the "W" type double bottoming stage, the cycle reversal logic is continuously strengthened.At present, the price of pigs in the market continues to be low, and it has entered the second round of loss period in this round of pigs. The collapse of the pigs caused by the African swine fever epidemic is still difficult, and there are still more difficulties in the inter-provincial transportation and culling to the production capacity. Will step into the excess capacity to accelerate the phase-out period. After the elimination of production capacity, it will inevitably usher in the reversal of the oversupply pattern in the live pig market. The possibility of a reversal of the pig cycle in 2019 will be further strengthened, and the 2019 Golden Pig will be laid. Related targets:Wen's shares,Tianbang,new Hope,Makino shares,Zhengbang TechnologyEtc; related to the industry chain:Shengnong Development,Haida Group,Biological sharesWait, give an overweight rating. Typical pig cycle: 2018H1 corresponds to 2013H1, and 2018H2 is 2014H2. The operation of the pig cycle conforms to the cobweb model.Judging from the current national conditions in China, the pace of production capacity of pigs is more dependent on the group of free-range households. We resumed the last round of the cycle and found that the bottom of the cycle was basically maintained for 2 years. The time of losing more than 100 yuan in a single head accumulated for 7 months. The sustained loss finally killed the farmers' confidence in the breeding of the market, and eliminated the breeding mother. Pig, the industry has completely reversed. Corresponding to the present, we believe that the first half of 2018 corresponds to the cycle position of the last round of the first half of 2013 before the occurrence of African swine fever;After the occurrence of African swine fever, the second half of 2018 corresponds to the cycle position in the second half of 2014. African swine fever accelerated the loss of the free-range households, and the cycle reversed earlier. In the atypical pig cycle under the epidemic, the cyclical capacity is reversed.We believe that the outbreak of African swine fever in the country has disrupted the original cycle rhythm and external representation. In order to make a difference, we call it the “atypical pig cycle” and the conclusions are as follows: 1) African swine fever has no vaccine, and The epidemic is highly lethal, and it has little significance in reference to the impact of domestic historical epidemics; 2) the density of domestic pig breeding is large, and the transportation is frequent, the destructive power of African swine fever is large in China, and the impact of the epidemic abroad is not significant. At present, pig breeding has taken the lead in entering the second loss cycle at the bottom of the cycle. After the Spring Festival, the pig price is expected to fall again. By then, the whole industry will experience a complete cycle of loss, cash consumption will be exhausted, and the breeding confidence caused by the epidemic will collapse. The industry has eliminated the age-appropriate sows, and the cycle has bottomed out. The valuation is still at the bottom, sharing the cycle and growth feast.We have calculated the average market value of pigs in the pig plate, and found that the current market value of Wen's and Makino's head in 2019 is only about 5,000 yuan, which is twice as large as the market value of the high cycle. In addition, Zhengbang Technology The average market capitalization of Tianbang shares is less than 2,000 yuan, and there is still 2-3 times the space in the future. In grasping the target, we found that the history of the re-discovery: 1) the cycle enters the bottom, during the formation of the reversal expectation, we must choose the stable target with cost advantage and valuable anchor; 2) when the cycle is near the inflection point or enters the right side, High beta should be chosen (the cost is high, but the price increase leads to higher profit elasticity). Risk warning: 1. The macro economy is not as expected, causing consumers to experience a significant decline in pork consumption, and the existing supply and demand analysis framework for pig prices has failed. 2. Group farming enterprises have suffered from large-scale epidemic infections due to their lack of attention to the epidemic. Haitong Securities Jiang Chao: Will rising pig prices lead to rising inflation? Beijing now African pigs! The national pig price bureau has changed dramatically. What about listed companies? The national pig price bureau has changed dramatically. What about listed companies?